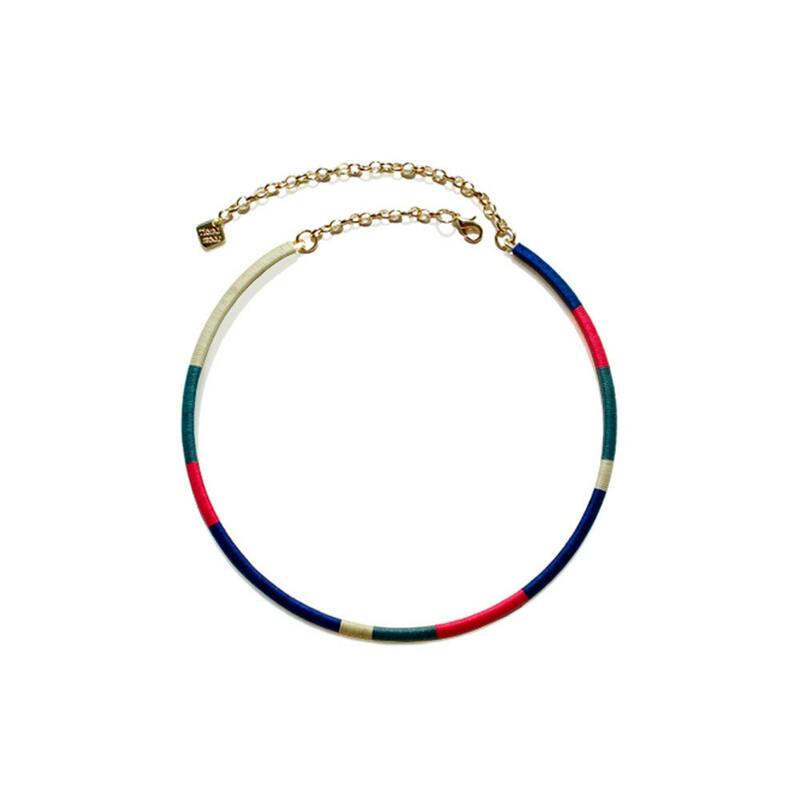 This chic and stylish hoop necklace really stands out itself as well as layering with other necklaces. 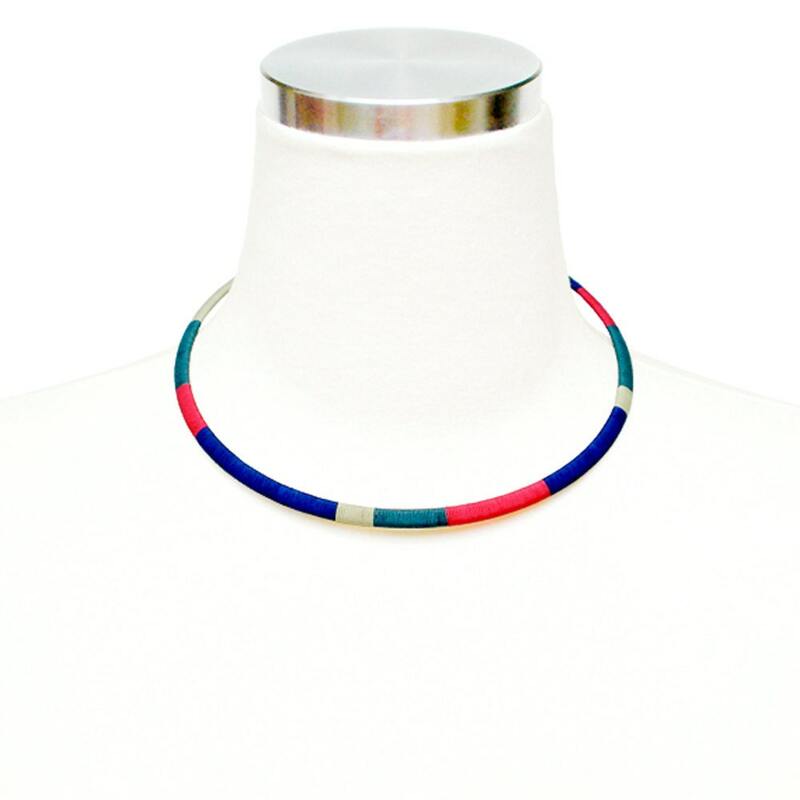 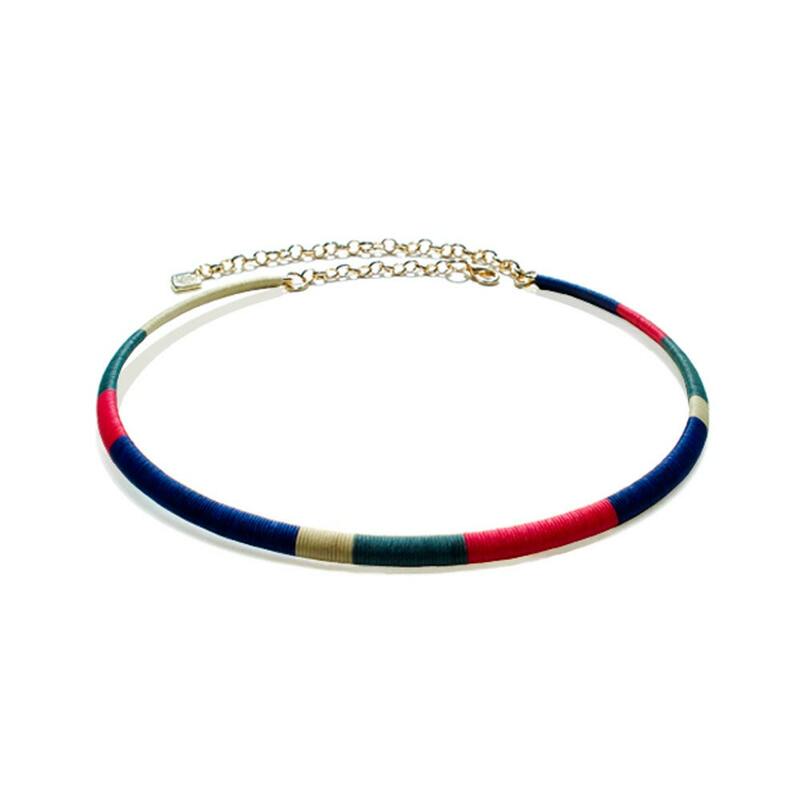 Amazing Hoop Metal Collar Necklace is completely wrapped with Silky Threads in gorgeous color combination of Beige, Turquoise, Hot Pink and Sapphire Blue. 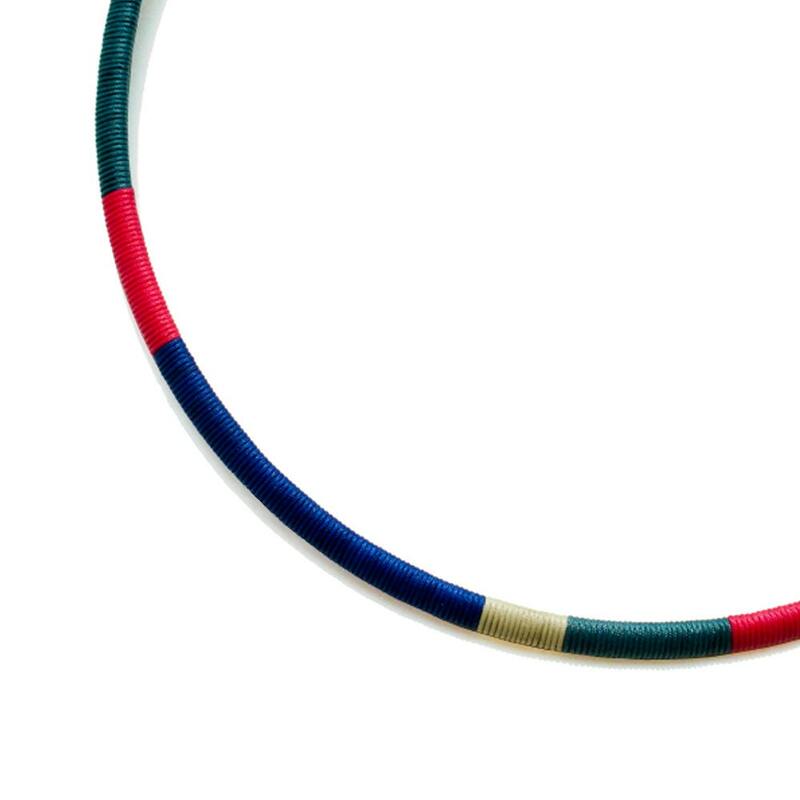 Fantastic necklace and customer service. 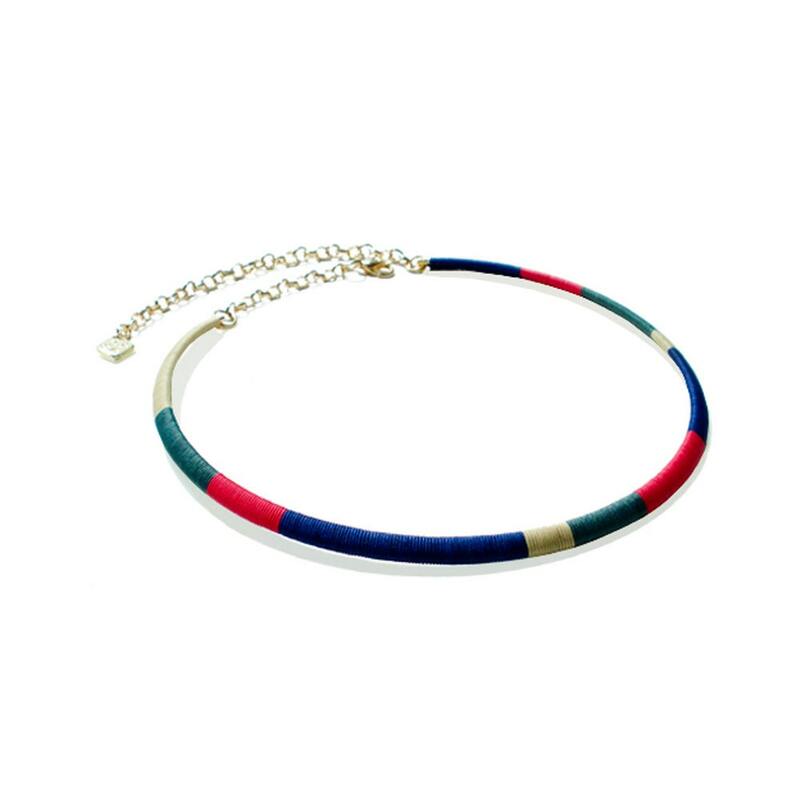 Thank you - will buy again from you.